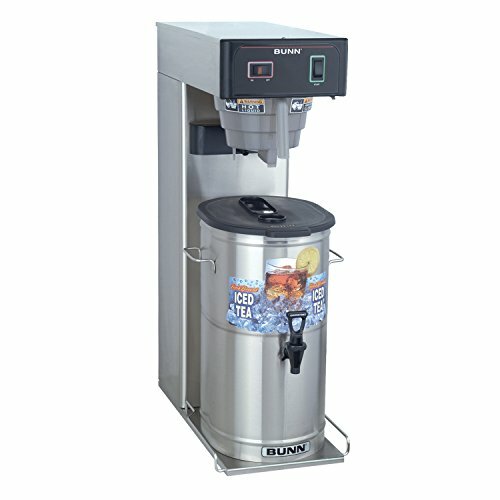 With its Quick brew technology designed for shorter brewing cycles, the TB3Q 3-Gallon Iced Tea Brewer can brew three gallons of iced tea at a time, and up to 26.7 gallons in an hour. The TB3Q can brew directly into any style portable server. Includes adjustable steep time mechanism for precise control over flavor extraction. Iced tea server is sold separately.